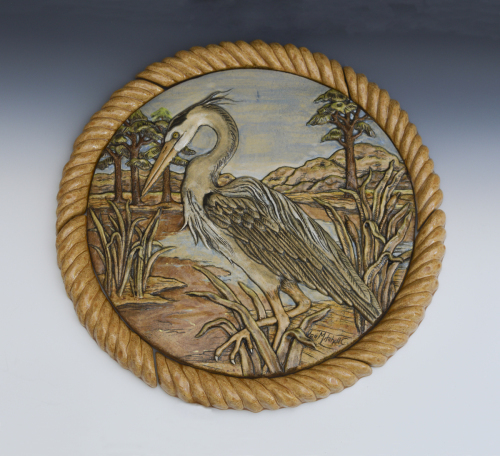 Heron with custom rope tile to co-ordinate. 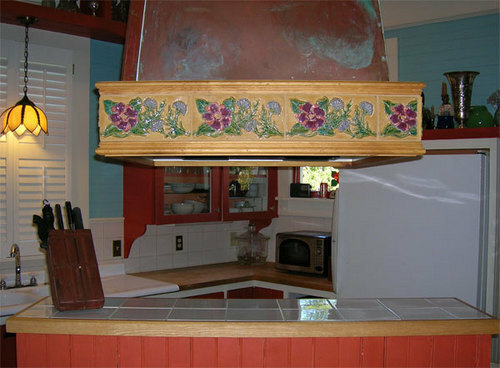 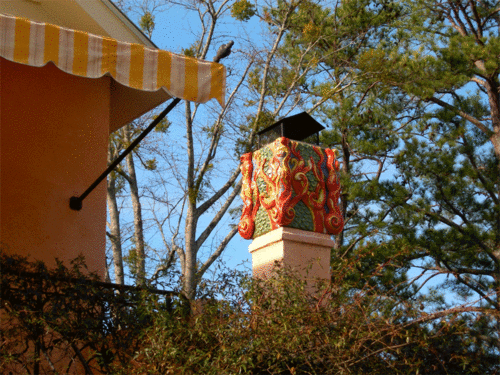 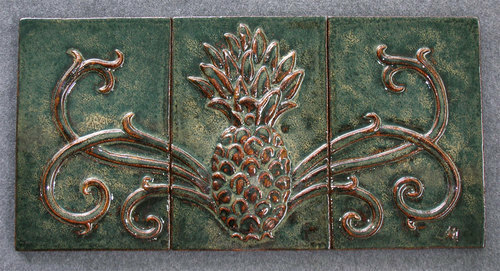 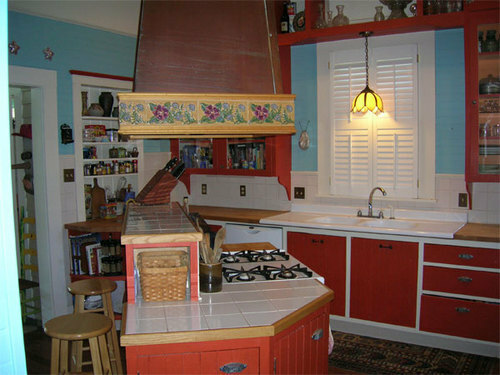 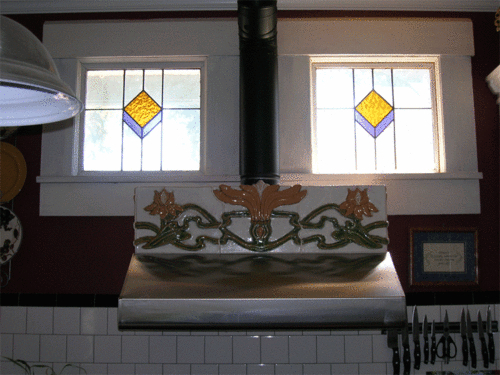 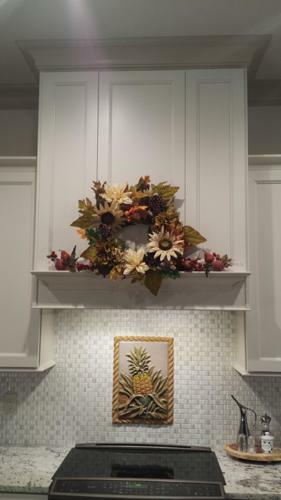 Wrap-around tilework for a Kitchen hood in an Arts & Crafts style house. 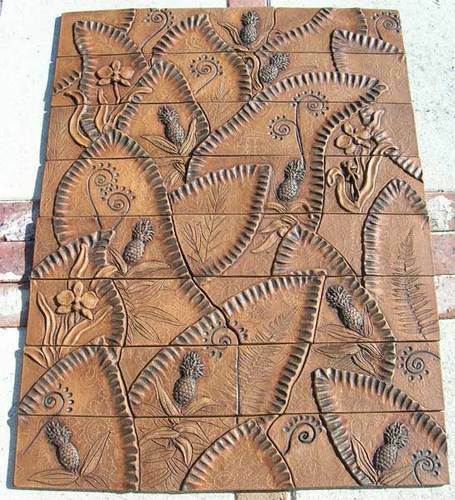 A commission for an outdoor bar, drawing on the clients Persian heritage by incorporating the pomegranate motif. 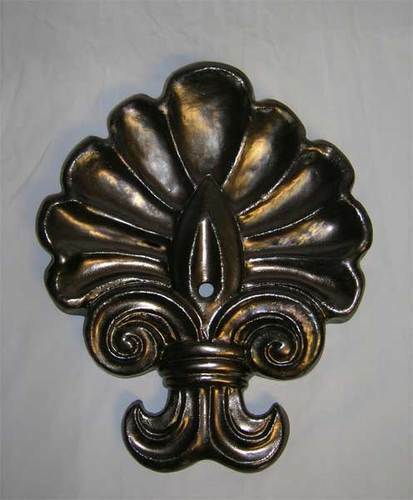 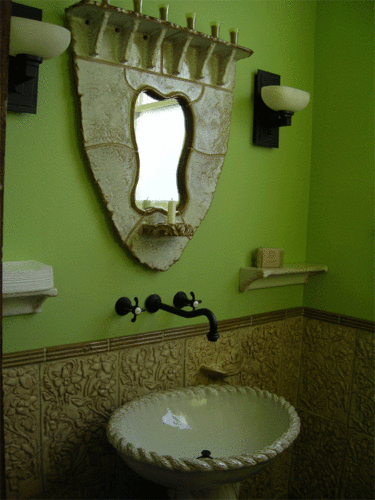 Sconces were made to match. 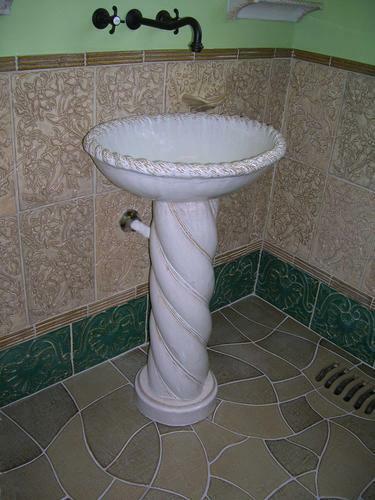 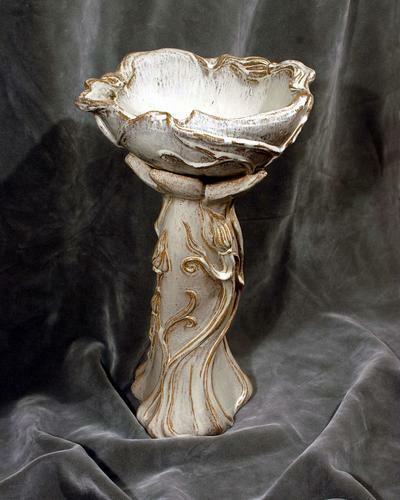 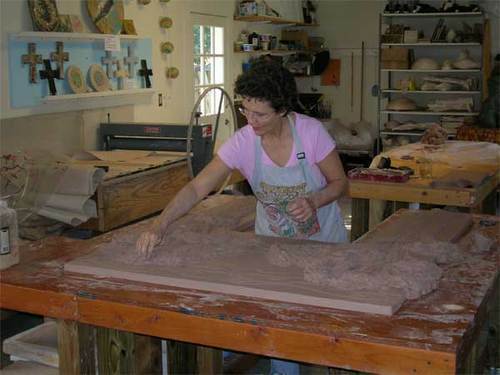 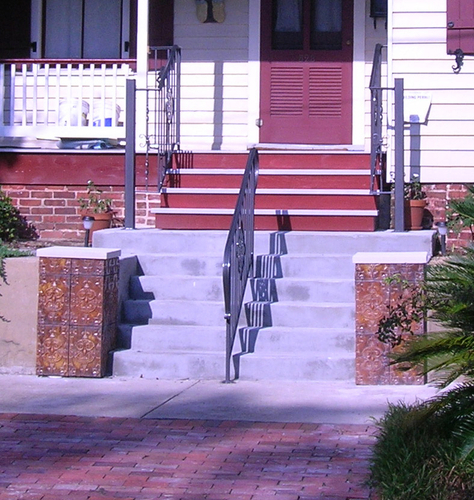 Fountain for an arched recessed area. 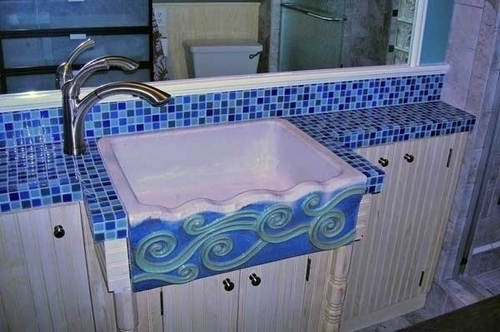 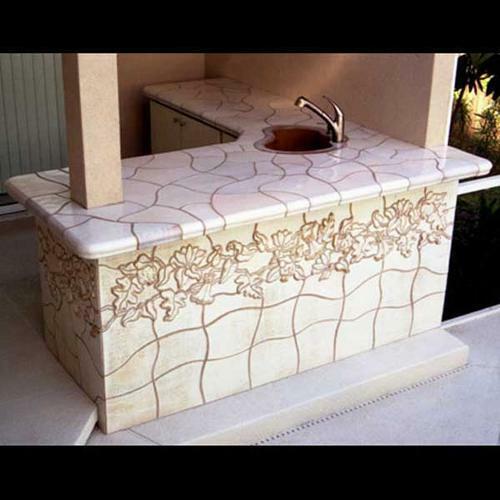 Custom floor,wainscott,pedestal sink, shelving out of handmade stoneware clay. 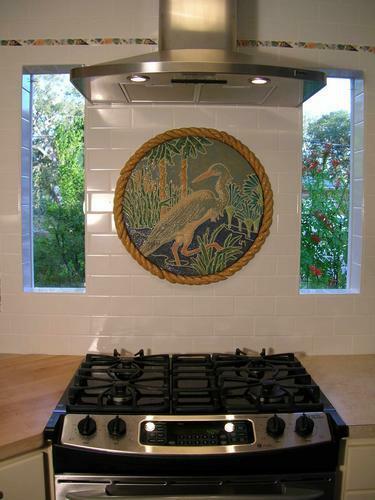 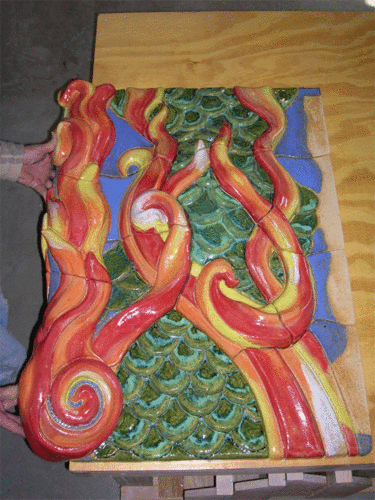 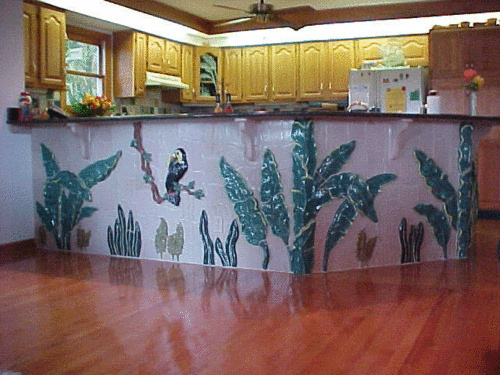 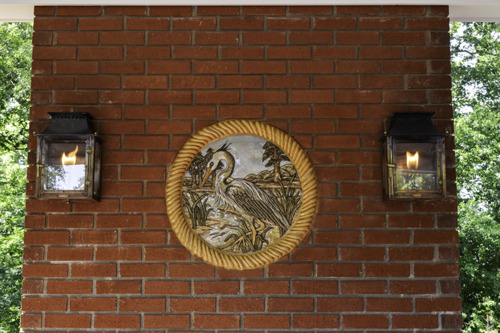 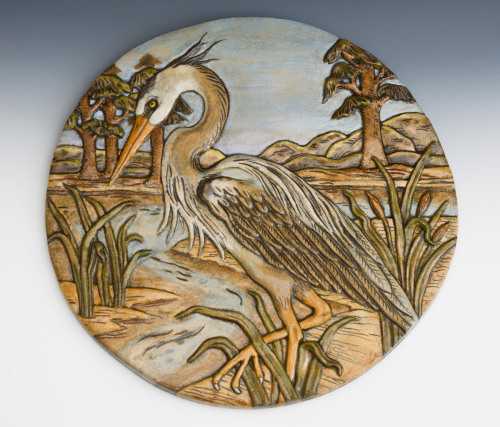 A flying heron in low relief prior to installation in a pool area. 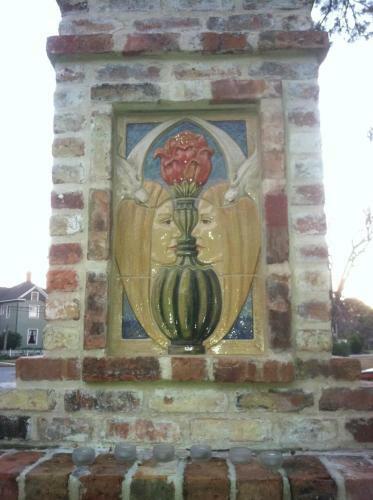 Sheer waterfall flows over the heron. 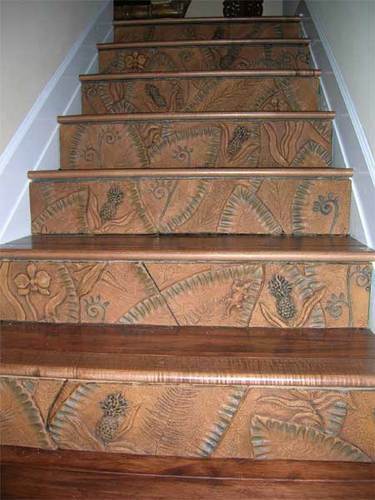 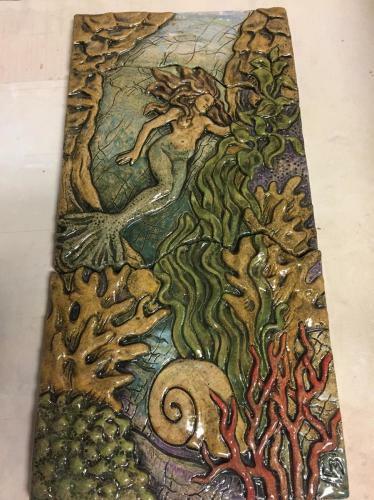 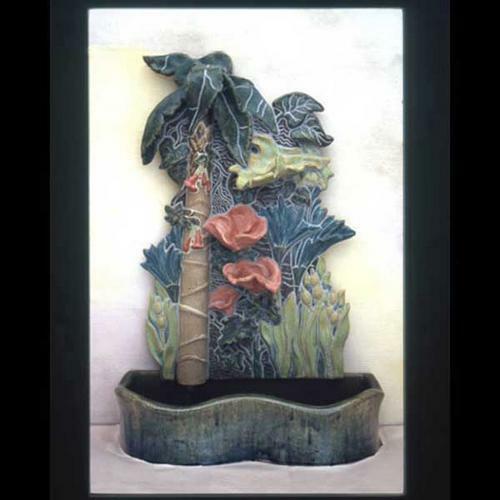 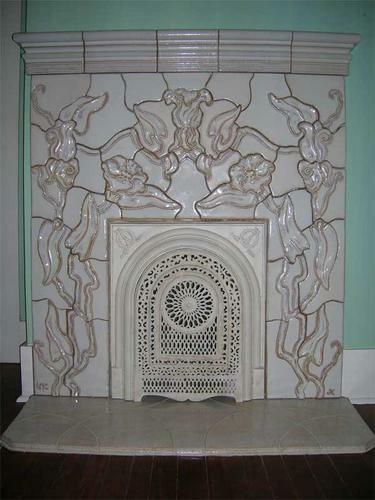 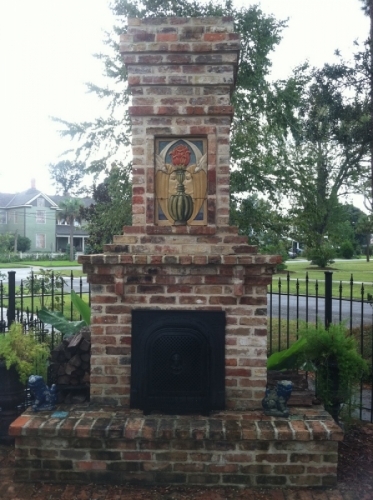 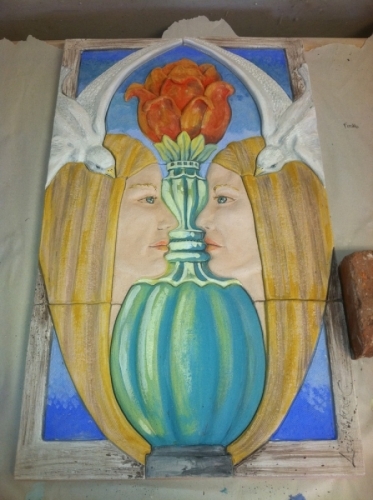 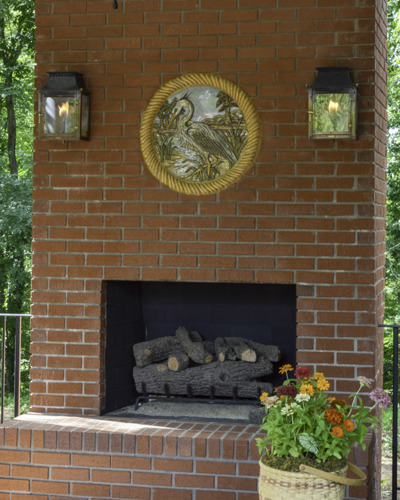 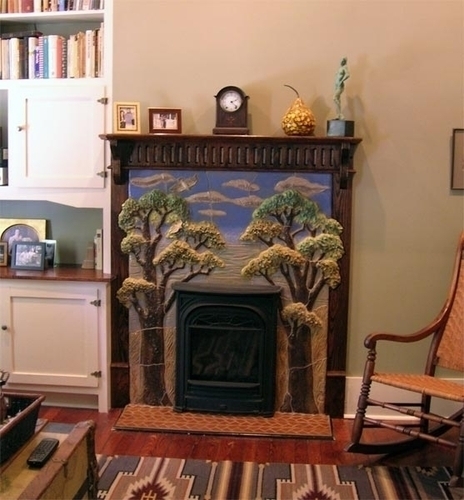 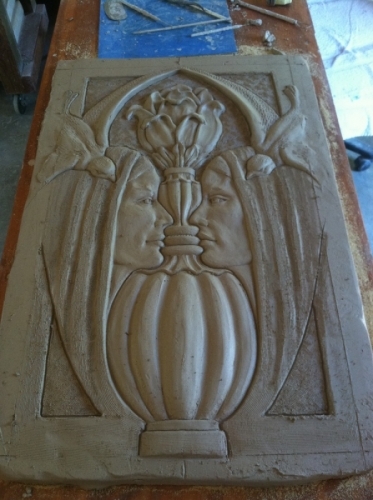 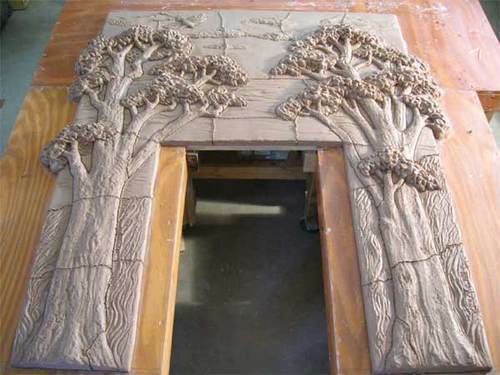 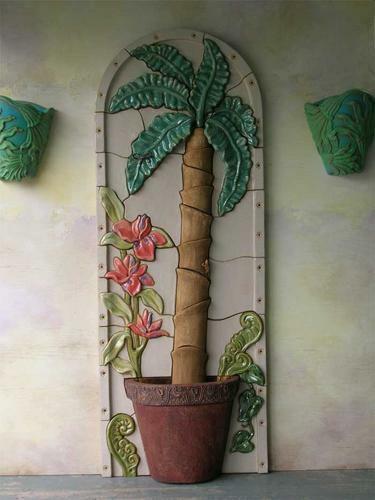 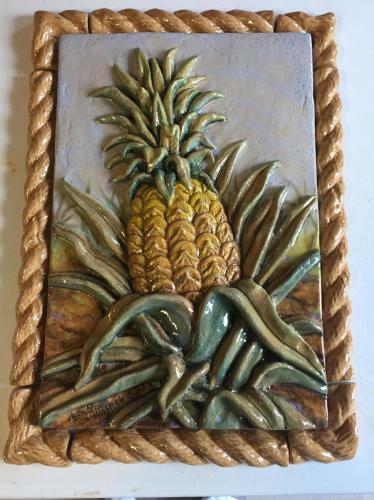 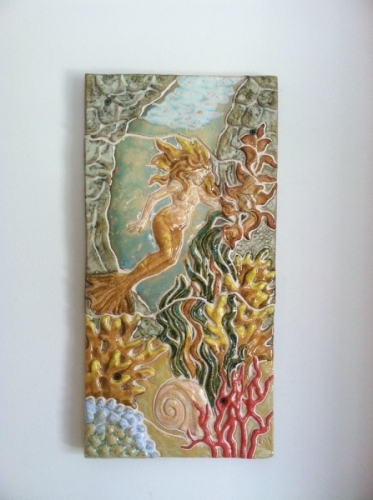 bas-relief for outdoor fireplace focal point.